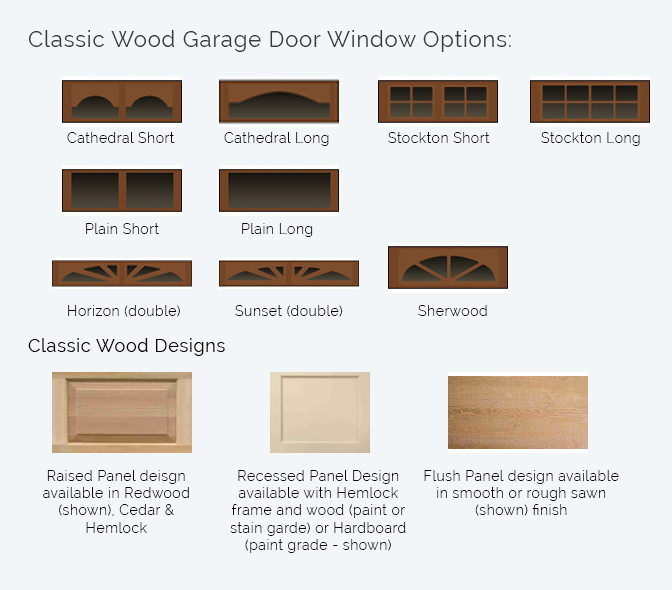 The Classic Wood Garage door is the template for our Semi-Custom design. The window options allow the door to fit your home design and enhance security and curb appeal. Contact us today for more information about our Semi Custom Classic Wood garage doors.